The V405 is a hand-thrown ceramic piece of art that serves as a basin in the bath. Each bowl is formed from choice clay, on a potter's wheel, by a skilled artisan; who then applies the distinctive glazes before firing. Because this sink is a vessel, no mounting hardware is needed. The overall dimensions of the sink are 16 7/8" x 16 7/8" x 6 3/4" and an 18" minimum cabinet size is required. Vessel sinks require a special spring-loaded pop-up drain, which we offer in a variety of finishes to match your decor. As always, our ceramic sinks are covered under a limited lifetime warranty for as long as you own the sink. 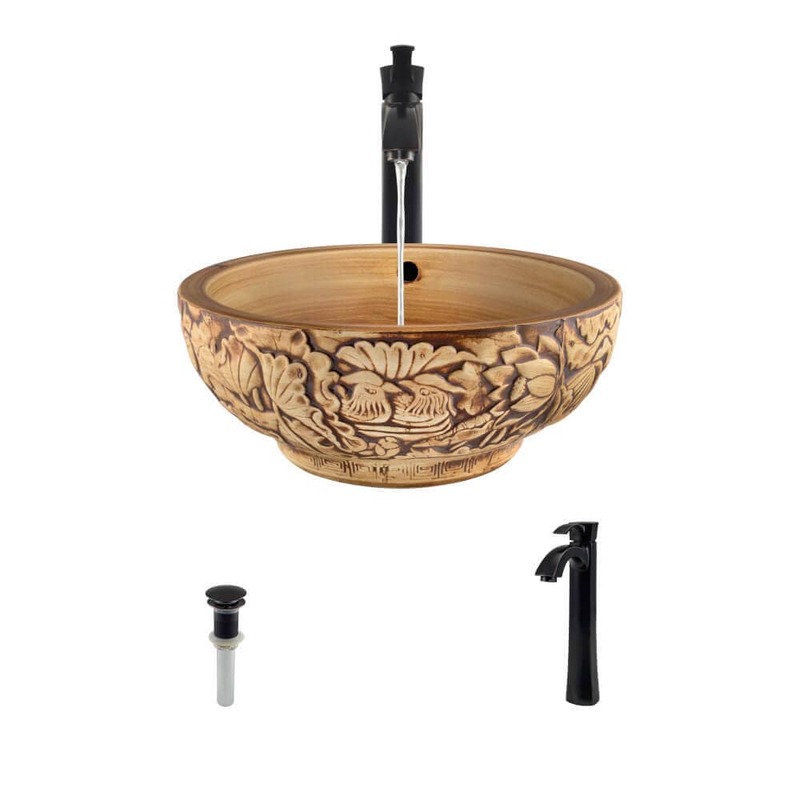 This sink ensemble comes with a 726 vessel faucet and pop-up drain in antique bronze finish.